Home Cover Feature NEW..PANDA VALENTINE and Peek-A-Boo panda shoes!! NEW..PANDA VALENTINE and Peek-A-Boo panda shoes!! 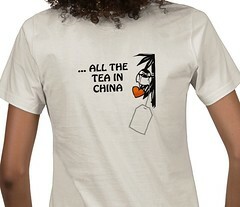 CLICK HERE TO ENTER MY ZAZZLE STORE!! This fun design has a very contemporary Asian vibe to it and includes my two favorite black and white critters…..the panda and the chickadee!! 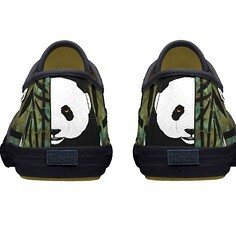 You will be the hit of the zoo in your PEEKABOO SHOES…especially if you travel with me via my blog to Chengdu!!! How cute is this??? I designed this perfect panda pedestrian platform from toe to heel for a shoe to wear on my own trip back to Chengdu China. The panda graphic is the feature on the cover of my new book called “BLIND SPOT” which comes out in 2010 showcasing my visits to Chengdu and Bifengxia panda bases. I had better quit writing and order mine so I have them in time for the trip!!! And speaking of the upcoming journey…Click on the HOME button on the blog to see the recent facelift to showcase the trip!!! The right column is a work in progress but will be a wealth of info for you all as we get ready to start our Asia trek together. Much more to come this week!!! SEE NEW VIDEOS AND PHONE CAST BELOW TOO!